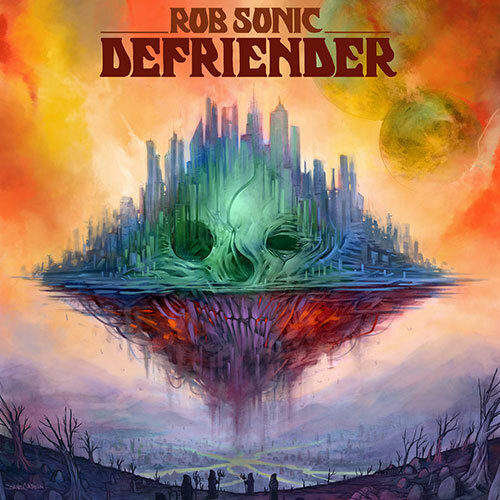 Rob Sonic’s long awaited Defriender is out now. Cuts & scratches by Mr. Dibbs. Background vocals by Milk Gold. Dave Correia absolutely killed it with the artwork. It’s your lucky day…a new video game video for “Shrunk” and new tour dates from Aesop Rock. 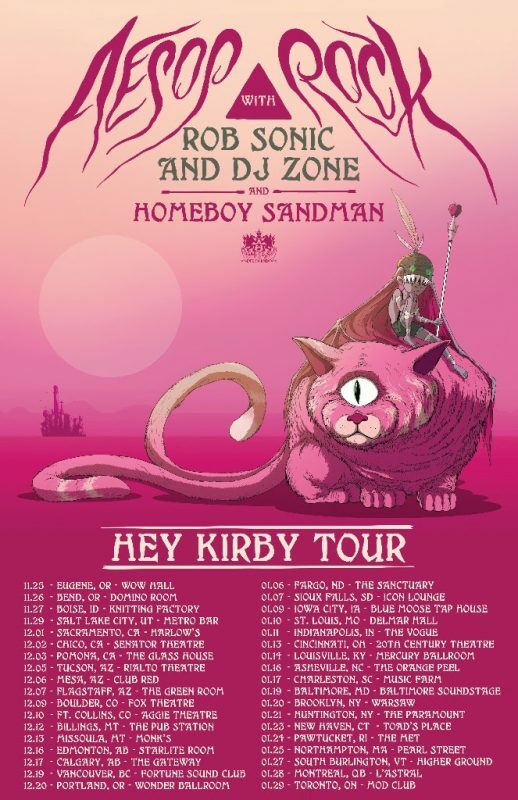 He’s going back out with Rob Sonic & DJ Zone with Homeboy Sandman opening (although there will probably be some Lice moments during the show). 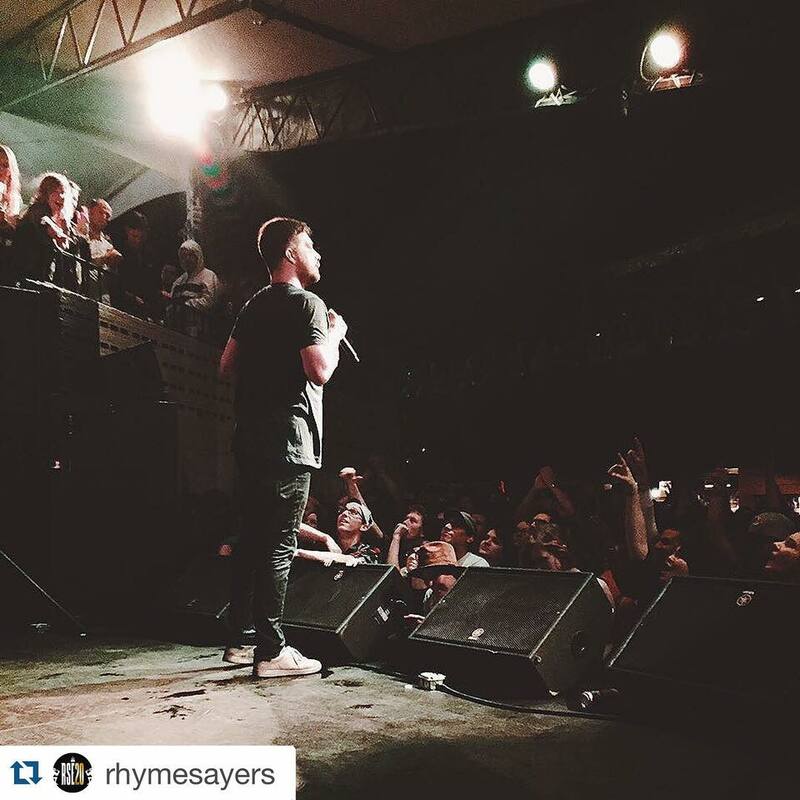 Aesop Rock Show in Portland Tonight…$3! New video for 4am from Hail Mary Mallon. Features skaters Henry Gunderson, Pete Lombardozzi, Zak DePiero, Chad Wade, Joe Barnes, Gautam Sahi & Gerald Anekwe (who also filmed & edited, with some additional filming by Pete Lombardozzi). 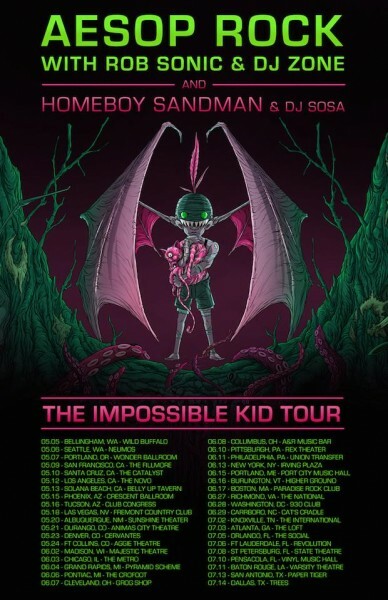 The Bestiary tour continues…tour dates & links for tickets. Hail Mary Mallon’s second album, Bestiary, is out today. We’re guessing you’ve pre-ordered it, but if you haven’t it’s available here. 3 different covers by Coro. 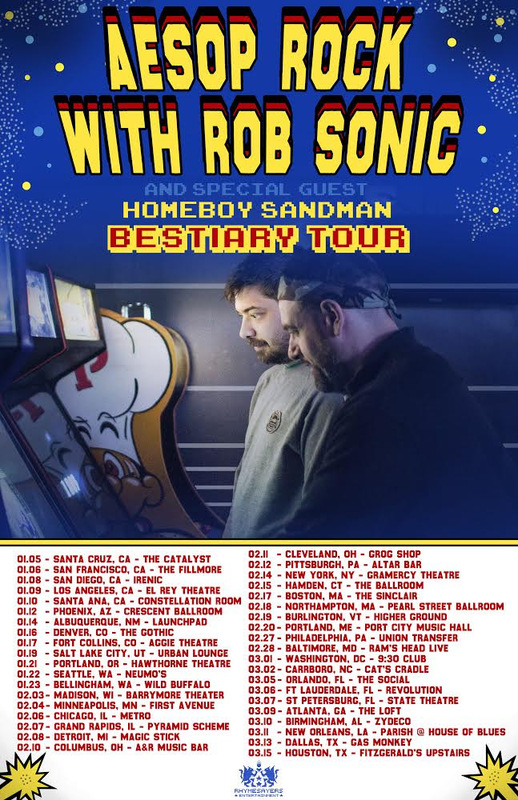 Aesop Rock & Rob Sonic will be hitting the road in January with Homeboy Sandman opening. Tickets go on sale later this week. Aesop Rock & Rob Sonic talk about the 90’s NY hip hop influence and a little bit about their process. Aes & Rob talk about their first meeting and the meaning behind the name, “Hail Mary Mallon”. The new album Bestiary is out Nov. 11th, 2014.